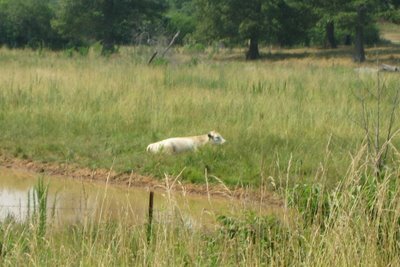 Somebody told me, it is not a good time to fish when the cows are laying down. I don't know if that is true, but I need all the help I can get. I wonder if someone could call me when this one stands up. Now that's an interesting old wives (?) tale. I wonder how that connection ever got made? A lot of time goes into fishing. I suppose it can be correlated to many things. 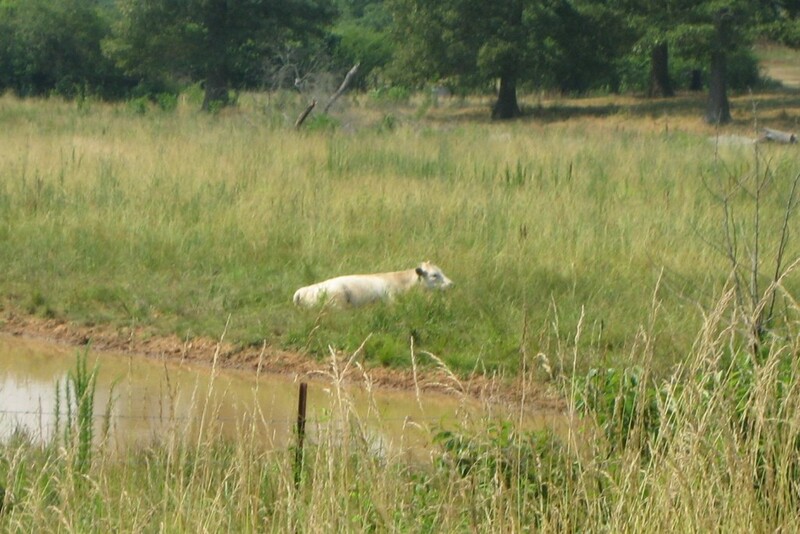 I've heard that when a cow lies down it's going to rain. Really cows make milk when they lie down, so don't think it could really having anything to do with rain or fishing. After all isn't fishing in the rain supposed to be good for fishing? I do know that leaves curl upwards before it rains due to the drop in atmospheric pressure and allows the plant to collect water.